Domingo Santana’s sixth inning sacrifice fly held up as the Milwaukee Brewers blanked the Arizona Diamondbacks 1-0 on Tuesday night at Miller Park. Jhoulys Chacin and three relievers combined on a three-hit shutout. Chacin allowed just two hits and walked four over five innings, while Matt Albers picked up the win in relief. Corey Knebel worked the ninth for his third save. Josh Hader also worked two innings of relief in between. Arizona’s Matt Koch retired the first 11 Brewers he faced before Lorenzo Cain lined a single to left in the fourth. Two batters later, Arizona centerfielder Jarrod Dyson took a three-run home run away from Domingo Santana. Ji-Man Choi clubbed a leadoff double in the sixth inning and eventually scored on Santana’s sacrifice fly in the sixth inning. 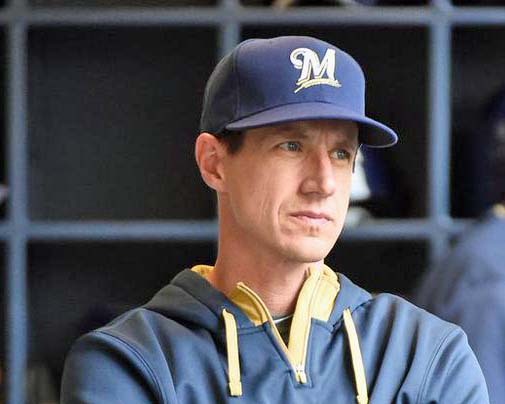 Brewers manager Craig Counsell was ejected in the 9th inning for arguing balls and strikes. But Counsell was really protecting his pitcher and catcher, Corey Knebel and Manny Pina. Both were heated in the final inning when the home plate umpire missed multiple strike calls which had the Brewers fuming down the stretch. The Brewers will play for the sweep this afternoon, sending Brent Suter to the mound against Arizona’s Zach Godley.